We spent our 11th day of 12 DAYS OF WING KING right around the corner from Wing King 5‘s HQ (Fleisher Art Memorial) at the The Wishing Well. After we sampled a couple new brews, we decided to sample a new chew – Sriracha-lime wings. Anyone that knows BigBite knows we love Sriracha sauce (or “rooster sauce”) more than Miley loves twerking on older men. If Sriracha – a hot sauce, named after the coastal city of Si Racha in Eastern Thailand – was human, we wouldn’t marry it, but we’d definitely have an affair! That “cocky” rooster and lime green cap are kitchen mainstays and we put it on everything from chitterlings to pig’s feet. So when we saw the Sriracha-lime wings on the menu, we were already playing out in our heads the awesomeness that was about to enter our mouths. 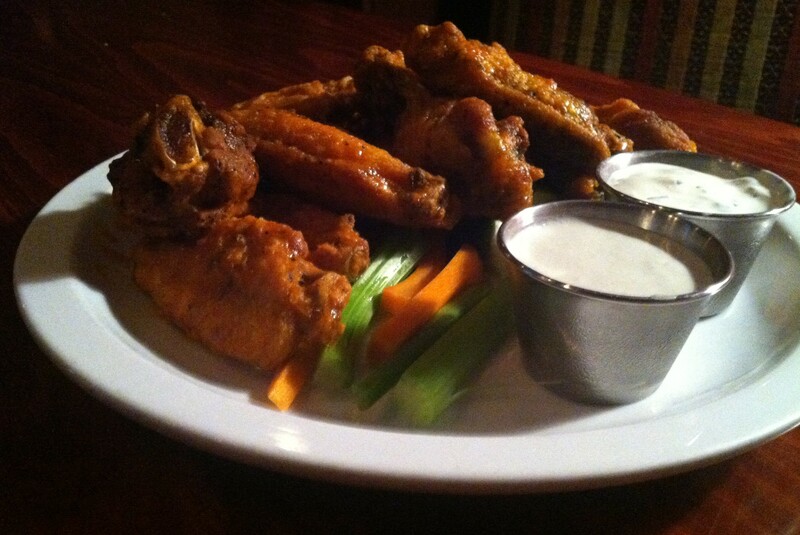 The wings came fast, they were fried, and that’s all we have to say about that (Gump voice). The rest of this story is a straight up snooze fest. None of the spicy, garlicky, chili – Sriracha – flavors that were expecting, came to play. The lime was present, but the rooster must’ve gone back to the farm because he was nowhere near the chicken we ate. Hungry and not wanting to waste food, we ate them all, but we were wishing we dropped our money on the other sauces offered: buffalo, BBQ, dry rub, or sweet chili. Other menu items were spot on and highly recommended (like the pulled pork and burger), but because of the lack in the fiery red rooster sauce we had to give these wings 1 BigBite Bite = “Throw some ZZZ’s on it” on the rating system. This entry was posted on Thursday, August 29th, 2013 at 12:13 pm	and posted in Review, Wing King. You can follow any responses to this entry through the RSS 2.0 feed.